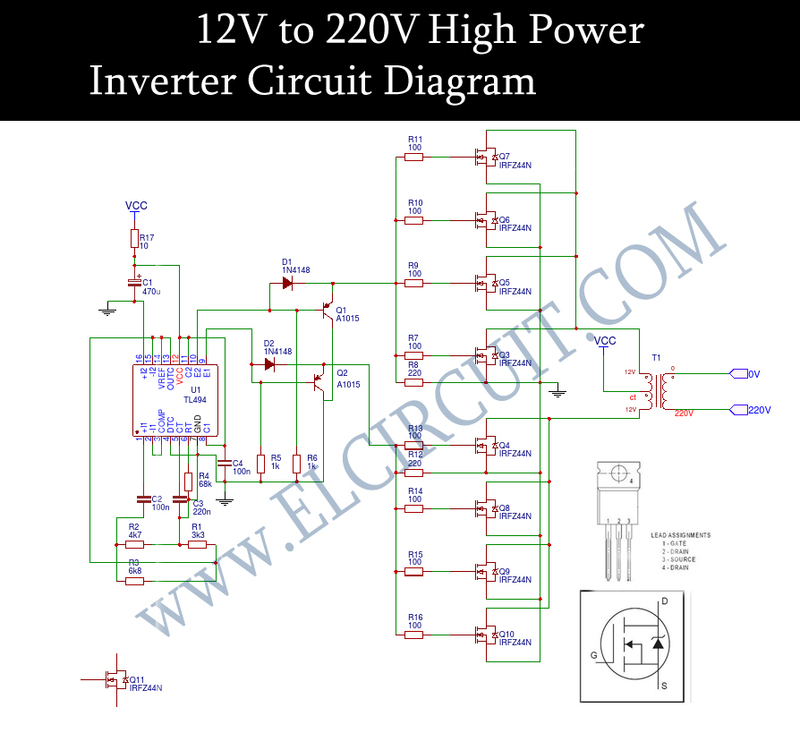 This is a 12V to 220V inverter circuit DC to AC voltage inverter using the circuit TL494 IC and Mosfet transistors IRFZ44N.This circuit I have tried and tested able to turn the lights on 220V, Phone Charger, and some electronic devices. 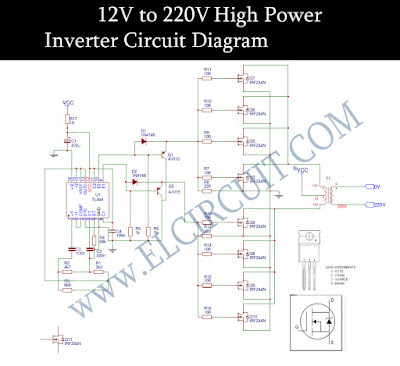 But the inverter circuit can not be used to power the motors, such as fans, drills, grinders, water pumps, etc. Due to the output of the inverter circuit is modified sinewave inverter, so that the output is not completely pure sine wave. for circuit schemes you can see below. VCC voltage above that could use the 12V battery voltage ampere 5A has a power output of 100W. And for the transformer can use a step-down transformer 220V to 12V CT 10Ampere. While the circuit above the transformer secondary winding is reversed as a primer, as a primary transformer winding and the 220V output. 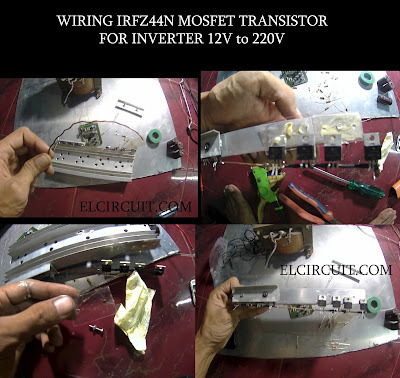 By using mosfet transistor 8x IRFZ44N for strenghening to operating 10A transformer. Here wiring of MOSFETs and an inverter circuit.